We use a phonemic awareness program called Phonemic Awareness: The Skills That They Need to Help Them Succeed! written by Dr. Michael Heggerty. http://www.literacyresourcesinc.com/about/. We've used this curriculum for three years now, with great success. This chart I use with small groups. We usually sing it...apple apple /a/ /a/ /a/ and so forth. Students also have to practice tracking with their finger. This chart usually goes into their Fluency Bag for reference. To build words as a class I bought these awesome Word Building Tiles from Lakeshore Learning http://www.lakeshorelearning.com/seo/p%7C845524441765416~~f%7C/Assortments/Lakeshore/ShopByCategory/teacherresources/viewall.jsp. I bought enough for everyone and then numbered them. 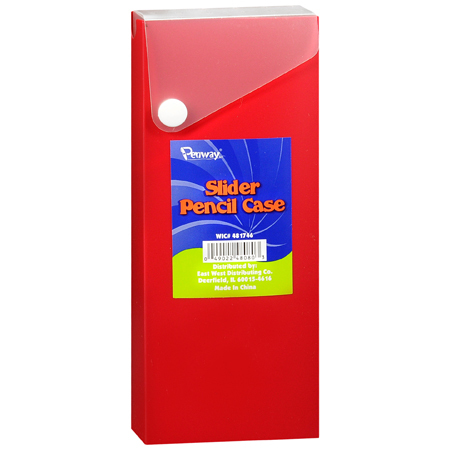 To organize them, I bought slider pencil cases. The best part...I bought them a week before school at Office Max for a penny each! I numbered the cases, as well. Each student gets a case with letters and a making words mat. I have students sort their letters (time consuming at first, but by January, they are pros). I also sort and build on the overhead. This is easily one of my favorite purchases of the last few years! When I first introduce picture sorts, I have students take a sheet of construction paper and fold it in half, then they draw a line down the center. 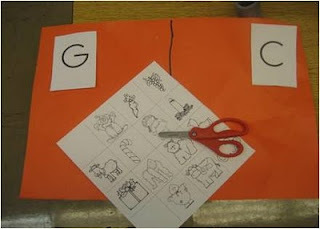 We usually do beginning sound picture sorts as a group before I move them into our center time. Sorry about that, not sure what is going on! I am glad you are finding stuff to use! I emailed the pdf to you! I feel like I have won the "Teacher Lottery" right now. I have been going backwards through your blog for the past hour and just admiring and downloading things that I think I can use for the beginning of the year... when do you find the time to make all of this? It is truly amazing work!!! Thanks again! I second all of sspeller's comments! This is the jackpot!! I've been on your blog for a while too and plan to spend more time frequently. How in the world do you find the time to make all of these?! I had considered switching grades (I've been in K for 4 years, working on my 5th) but this makes me think if I stay long enough, I'll have time to make things like you do! :) WOW! You are amazing! I hope that one day I can find the time to give back the way that you do! Wow! You are now my idol! You have made some great resources, thank you for sharing! I love the ABC chart. I have a couple that I use now and love to give my students different options to choose from. I am struggling to figure out what the picture is for /z/??? Cooper is absolutely adorable. You're so lucky! Just a question as I've been browsing your blog for the last 40 minutes or so .... you mention a fluency bag in your post about phonemic awareness (Jan 2011). Just wondering if you could provide any more details about what goes in the bag and how you/students use it. Thanks so much!!! Shannon - You will be in my thoughts tomorrow as I believe your maternity leave is ending. Thanks for all the wonderful freebies and updates on your sweet baby boy! I have two boys of my own:-) they hold a special place in your heart. The day will fly by and your kiddos at school will put a smile on your face. How am I just now finding this? Thank you so much for providing these amazing resources! You rock!